Building on last year’s successful track record when Syracuse University teams captured a first-place honor and won a total of five awards in the 2018 New York State Business Plan Competition, the Blackstone LaunchPad has announced a number of business plan competitions for the 2018-2019 academic year. Orange Tank: Applications due late August; competition Oct. 19, 2018. Open to Whitman alumni entrepreneurs and undergraduate majors from the Whitman School of Management. ‘Cuse Tank: Applications due Oct. 1, 2018; competition Oct. 26, 2018. 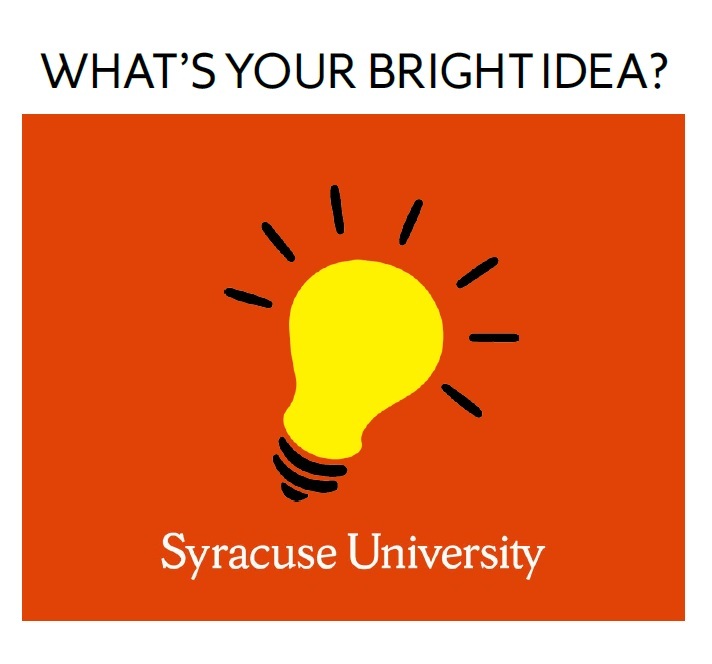 Open to Syracuse University undergraduate and graduate students from all disciplines, who are working on developing new products, services or technologies. Student Startup Madness: Applications open in September and run through early December 2018; semi-finalists announced in mid-January. Open to college student teams with digital media startups (in concept, in development or in operation). Impact Prize: Applications due October 29, 2018; competition November 15, 2018. Open to Syracuse University students and SUNY ESF students taking entrepreneurship courses at SU. Panasci Business Plan Competition: Applications due January 2019; competition April 12-13, 2019. Open to graduate and undergraduate students. Rice Business Plan Competition: Applications due February 2019; competition April 2019. Open to primarily graduate students. ACC In Venture Prize: Applications due Feb. 1, 2019; competition Feb. 22, 2019. Open to undergraduate students or recent graduates of ACC universities within one year of graduation from their undergraduate program. Hult Prize Regionals: Competition December 6, 2018; regional teams announced January 2019. Open to undergraduate students. Compete CNY: Applications due March 2019; competition March 29, 2019. Open to undergraduate and graduate students. Raymond von Dran iPrize: Applications due March 2019; competition March 29, 2019. Open to graduate and undergraduate students. HBW Spirit of Entrepreneurship Award: Applications due March 2019; competition March 29, 2019. Open to undergraduate and graduate students at Syracuse competing in the iPrize. New York Business Plan Competition: CNY teams submitted after Compete CNY qualifier Competition in Albany, New York, typically the last weekend in April. Open to undergraduate and graduate students. EO GSEA (Global Student Entrepreneur Awards): Applications due Sept. 30, 2018; regionals in Buffalo, New York, Nov. 8, 2018. Open to undergraduate and graduate students who are business owners, founders or controlling shareholders, either ‘for-profit’ or social enterprise. business plan competitions, providing critical early stage seed funding to help them work on customer discovery, prototypes, business incorporation and patents, as well as other product and business development needs on the road from concept to commercialization. investment-ready business models, create more competitive pitches, and coach teams on the art of successful pitching. Whitman and iSchool faculty, along with Falcone Center staff, are also available to help prep teams and provide feedback. To learn more about the competitions, get details on the schedule, or schedule coaching sessions, visit launchpad.syr.edu/2018-2019-su-competitions or email launchpad@syr.edu.